What I love about this shirt is that it’s completely appropriate for work and also super cute for a casual day in jean shorts. Beyond that, it’s easy as can be but still impresses your friends (lol) because of the pretty open-work throughout the top. 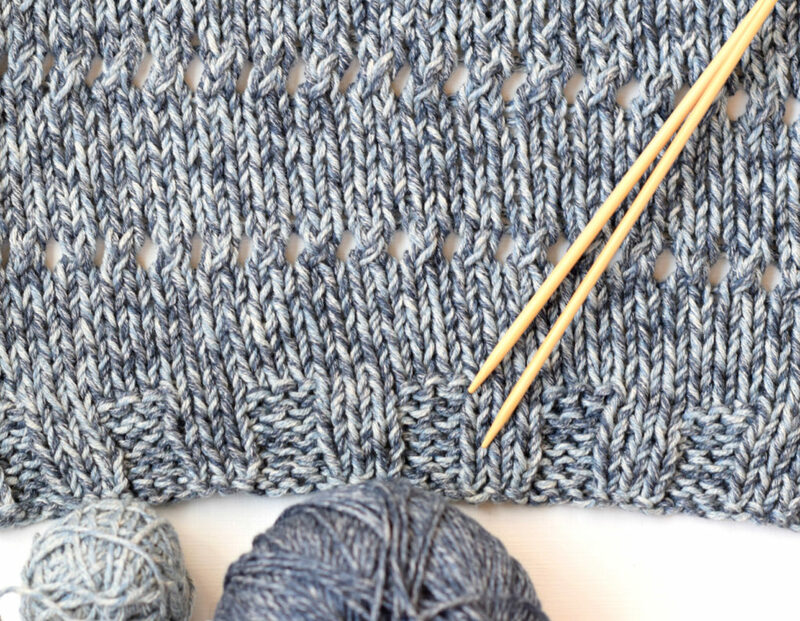 If you know how to knit and purl, you’re good to go. If you’ve never done yarn overs, take a look on YouTube at how easy it is so you can stretch your knitting skills to make this shirt. 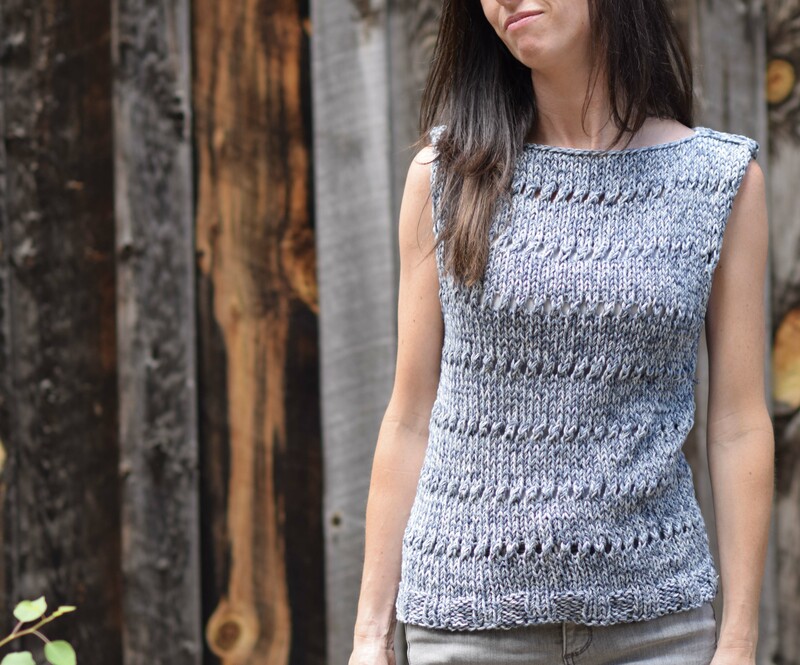 It’s a great pattern to try for your first garment! You might remember that I’ve touted the Lion Brand Jeans acrylic yarn because it is such a soft and “drapey” acrylic. However, this cotton is also just as nice in it’s own right and feels like a treat to work with. The Jeans Cotton has great drape which is not always the case for many of the cottons that I find in the big box stores. Don’t get me wrong – I love those craft store, Wal-Mart cottons (Lily & Cream etc) for washcloths, but they aren’t ideal for wearables in my opinion because they’re fairly stiff. 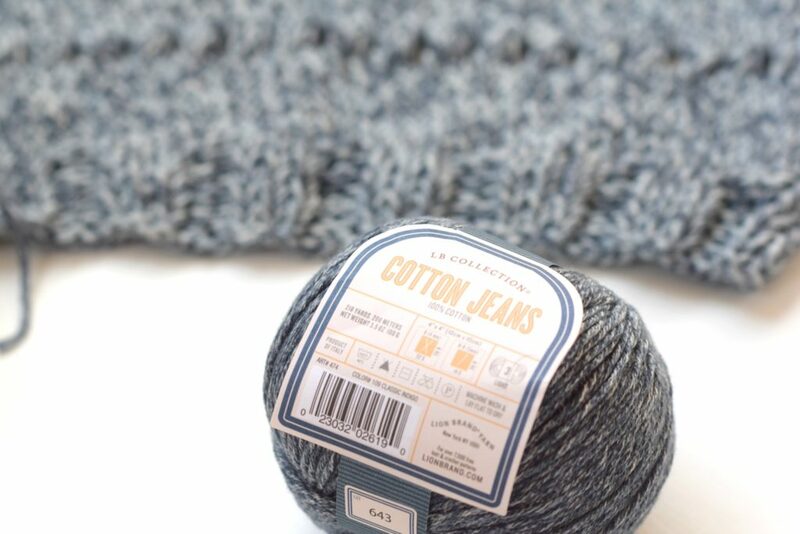 While the Jeans yarn already has a great heathered look to the yarn, I wanted to amplify it even more by combining two colors. This gives it that sort of marled, heathered look that’s really in right now. Ready to get started? Here we go…. 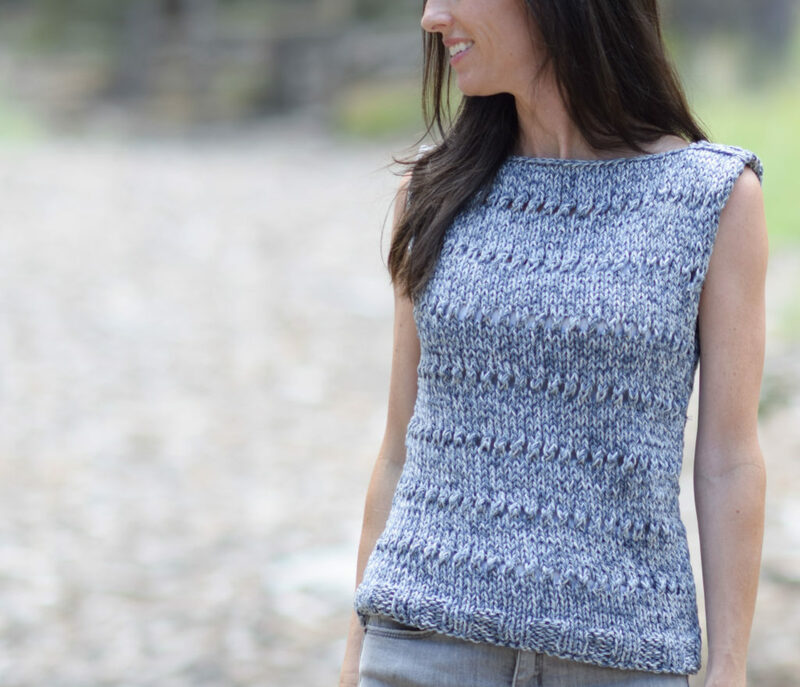 Pattern Description: A beautiful top that features a marled cotton fabric and delicate eyelet striping. 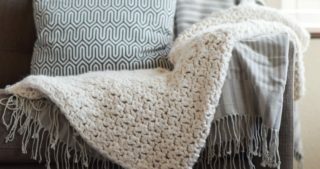 This pattern is easy enough for adventurous beginner knitters and it works up fairly quickly too! The “Cotton Jeans” yarn creates a fabric that will go with skirts, jeans and even coordinate with your work day outfit. 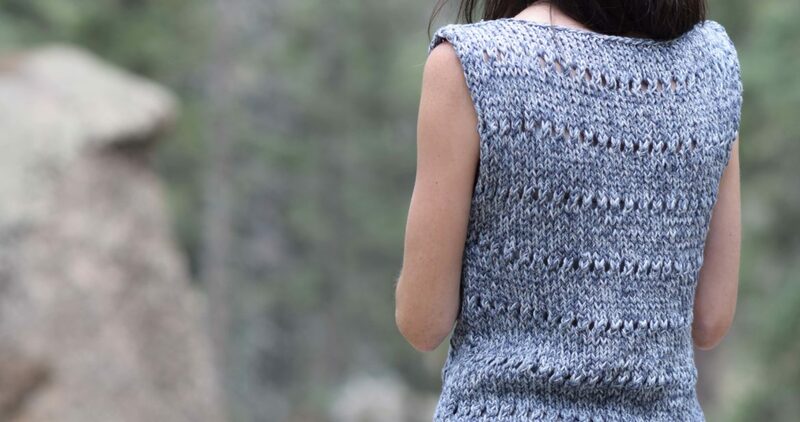 A lovely sweater that will be enjoyed in summer and fall alike. Next, you will work the Main Body of the panel. Next, repeat above pattern to make your second panel. Block to shape and size as desired. With a length of yarn and your tapestry needle, seam up each side of the two panels using the mattress stitch seam. Leave a generous opening for your arms at the top. Next, seam inward at the shoulders leaving an opening for your head and neck. Tie off and weave in all ends. 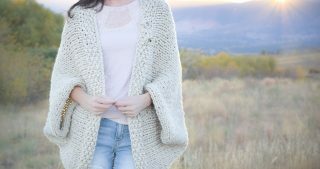 I sure hope that you found this to be easy and fun to make (and hopefully fun to wear too!) I’d love to hear your thoughts in the comments section. Happiest knitting to you! PS You can also find a Loom Knit Version here from Loom Knit Central by Chris for those of you who enjoy the loom! So excited to try this pattern! I’ve been stalking your blog since Lion Brand sent the notice yesterday that the kit is on sale. 😉 Do you think this will work with the acrylic Jeans yarn? Hehe! Too funny and I’m honored you’re stalking the blog! And yes – the acrylic would work! Awesome!!! 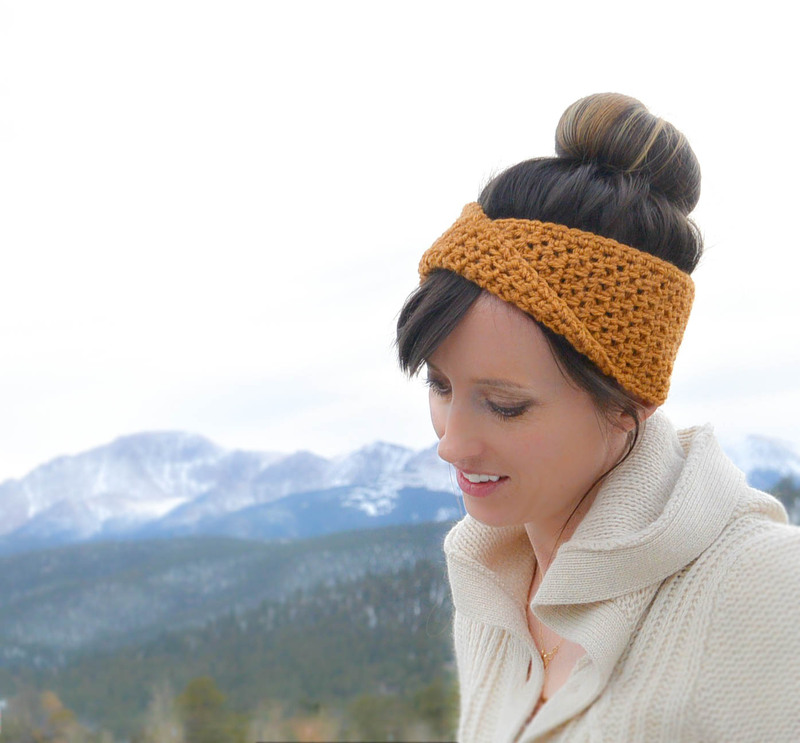 So glad you like this knit version too Sonja! I cant wait to start this project!!!!! Thanks, Jessica for the pattern. You’re welcome Nancy! I hope you enjoy it. 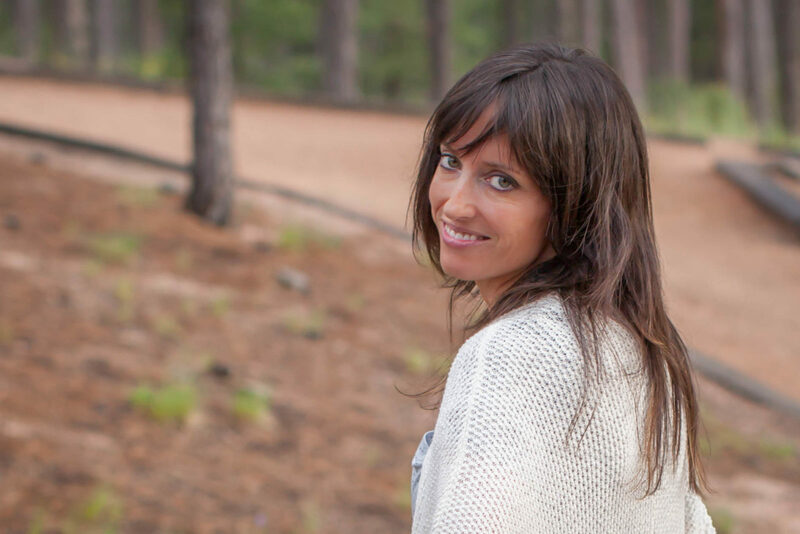 I love all your patterns…..love your blog too! 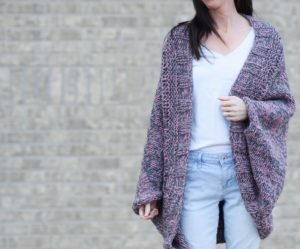 i prefer knitting in the round until the armholes … would you have any suggestions, how would i change the pattern since one side would end K3 and then begin again K2, what would I change can you help? I just don’t have a mechanical mind to visualize how it would work in the round, pattern wise. Hi Jessica! I recently completed the Boxy T-shirt and am on to the next project. I see from a previous comment the acrylic Jeans yarn would work for the Eyelet Top. I have 5 full skeins of the acrylic Jeans in my stash. Would that be enough for the medium Eyelet Top? 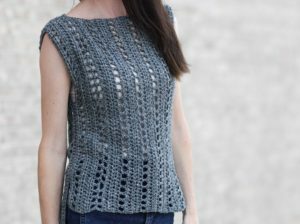 I just finished both the crochet Vintage top as well as the knitted eyelet top & I love them both. Thank you so much for sharing your patterns to all your beautiful creations. I was unable to find the lion brand jeans cotton yarn locally so I used another yarn which was also 3 ply working with 2 strands together as recommende. Worked beautifully but you also said the Jeans yarn would also work. Since that is 4ply would I still use 2 strands together with regard to sizing? I’m so glad that you’ve made both tips and have been pleased! Thanks for letting me know! The pattern is pretty forgiving, but I should clarify and will do so above as well. Jeans acrylic is worsted weight, but it’s a small worsted weight in my opinion. 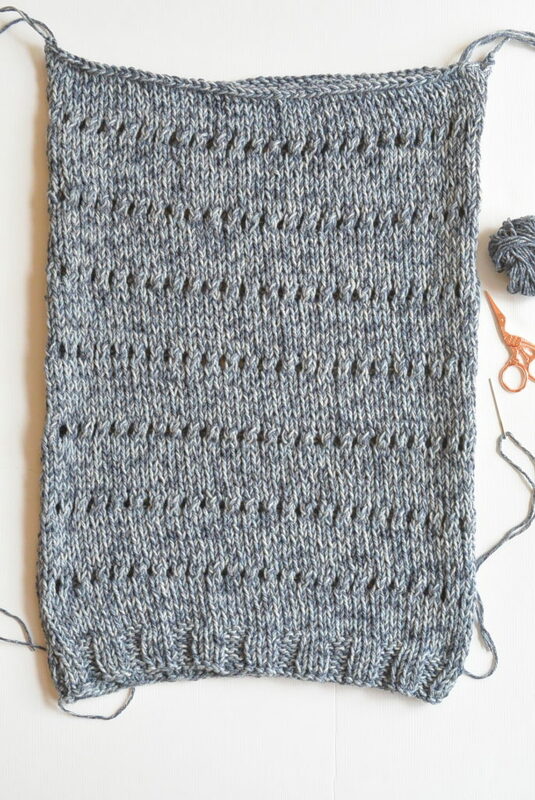 Best thing to do would be to make a swatch and check gauge and if it’s knittinf up tighter than you’d like. If so, some adjustments would need to be made. Best thing would be to do what you did which is get a size 3 yarn to match the pattern. 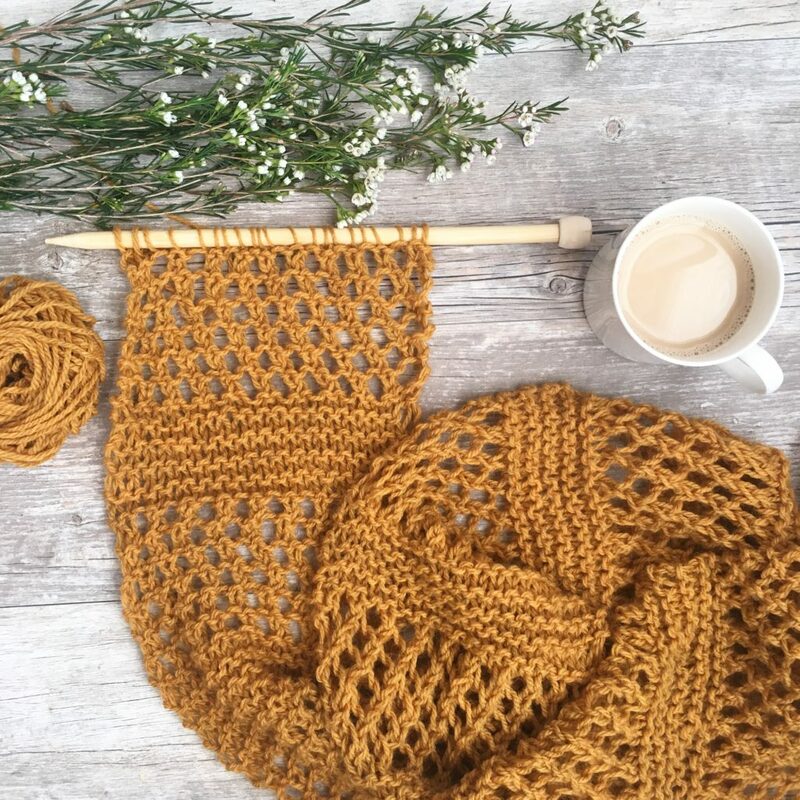 I’d love to try this pattern. Regarding how much yarn to use, do I need 2 skeins of each color, or just one per color? Thanks for helping! Or does this just happen with my 2X size? Nearly finished with side 2. 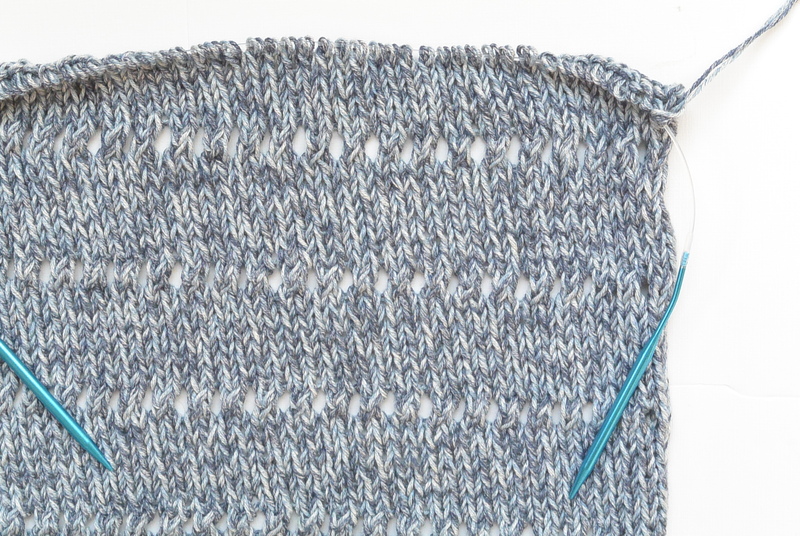 Working up according to pattern with Jeans acrylic yarn, then on to Summer Knit Top. 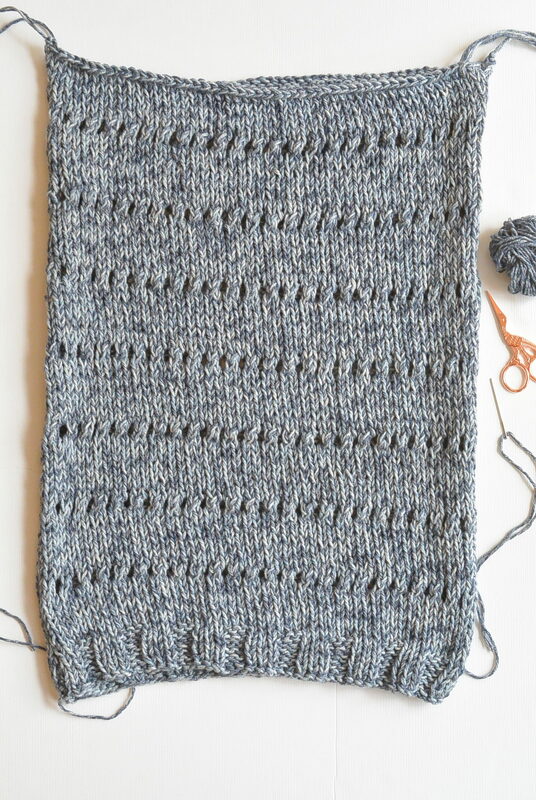 Made up the Mesh Knit scarf, too – will make a couple more for holiday gifts! Yes! Thank you so much Elizabeth and I’ve made the correction above in the blog post. I just received the kit. Gonna use the medium size chart. Its awesome. Aww that’s so cool! I hope you enjoy it Gwyn! 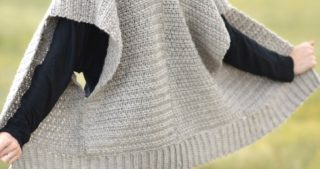 I made knitted front and back panels but the issue i am facing right now is that the corners are becoming curved………i guess because i made it in stockinette stitch ..? Can this problem be fixed if i just join these two panels…. I’m casting on — and I see 6 sizes but only 5 CO numbers… HELP! Thanks so much. I can’t wait to try this pattern. Aren’t you glad you know how to knit.